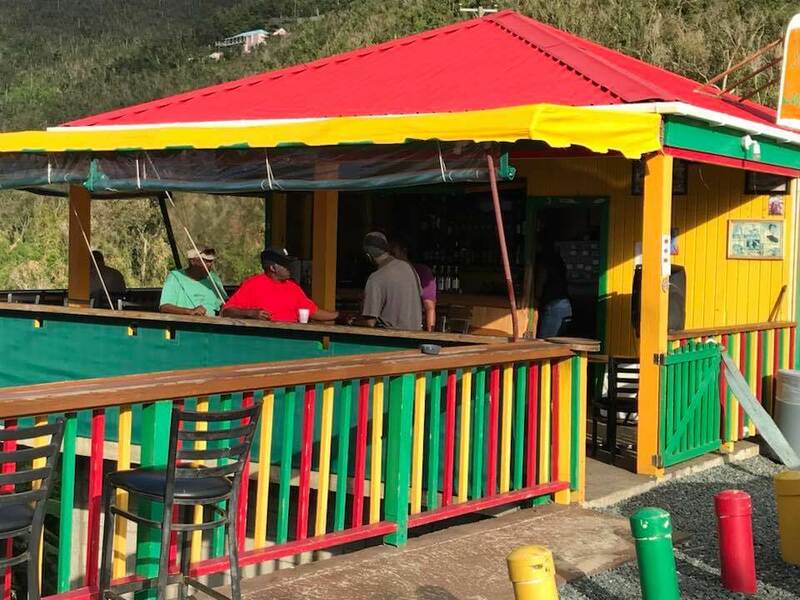 Stoutt’s Look Out Bar is the "Coolest" Place to Hangout on Tortola! Stoutt’s Look Out is the “Coolest” Place to Hangout on Tortola! Overlooking the magnificent Cane Garden Bay beach and with a steady sea breeze coming in, thus no need for air-conditioning units, Stoutt’s Look Out at Windy Hill is really one of the “coolest” places to hangout on Tortola. The restaurant and bar is strategically perched at the Carrot Bay/Cane Garden Bay junction and passersby simply cannot miss the red, gold and green structure that offers a breezy and relaxed atmosphere and, as one person put it, a million-dollar view! On your next trip to CGB, stop in at Stoutt’s for good food and a cool drink.